Before we rustle through the papers from this weekend, an apology for not publishing last week. We had a family party on Saturday, which we catered for, comprising a vegan Mexican feast for about 50 people! Thanks for asking – it went down a storm! So did the margaritas, a storm straight to our heads. So we had not got the energy to dissect the papers, as you can imagine. A shame as Catherine Cleary reviewed Picado, the pioneering Mexican eatery in Dublin, and it would have been so apt. But we sidestepped yet another review of Cliff House Hotel, this time in the Examiner. We get it, critics, it’s amazing. Anyway, back to normality, albeit a little later as we’ve had a bank holiday and Bloom – the premier food festival in the summer calendar – this weekend. 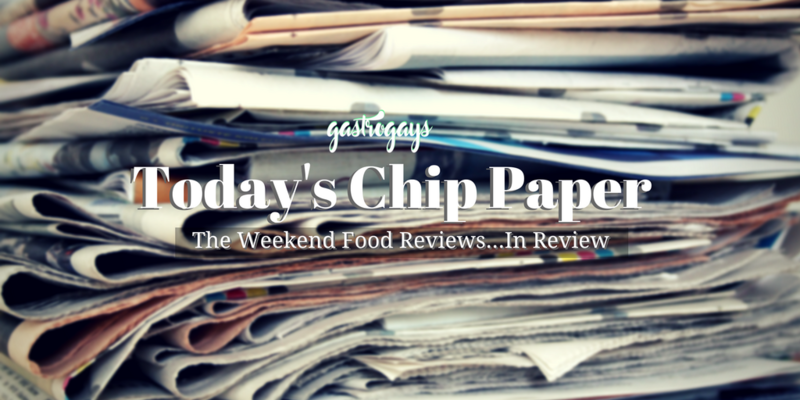 Nonetheless, here are a selection of the weekend’s food reviews, in review. The two islands of Great Britain and Ireland have interestingly had two very different slants from their critics, but both producing fascinating features on very hot topics right now. On Saturday, Grace Dent wrote in The Guardian about the joys certain “junk” foods bring her, and how demonising these is a visceral classist issue. Meanwhile, Marina O’Loughlin tore most of Britain’s high street restaurant chains to shreds in the Sunday Times, and rightly so. For too long ‘casual dining’ has been quietly synonymous with sub standard stuff on a plate tarted up to look cutting-edge for the everyday punter. Glad to see Dishoom and Wahaca earmarked as restaurant groups – we loathe the word chain – #winning in MO’L’s sights (ours too) whilst simultaneously knelling the grisly end in the not too distant future of the likes of Jamie’s Italian, James Martin and Wetherspoon’s. Banish ’em to memory, we say! Taking a more positive approach to dining out this long weekend was the Irish Times, which in Friday’s edition published a list of the 100 Best Places to Eat in Ireland in the seasonal Food & Drink supplement. Firstly: this supplement shouldn’t be biannual, it should be monthly, because it’s top notch stuff from a very small team in the IT’s Tara Street base. Kudos. Secondly, it’s a bucket list of many of the greatest places to eat across this little island with big culinary boots. Thirdly, it reinforces what’s been our raison d’etre and what we’ve shouted from the soapbox for since day one of our food writing escapades – Ireland’s food scene is flipping incredible and should be rightly celebrated. Anyway, more importantly to the review in the weekend edition of the paper. It was when we were feasting on a fat doorstop chunk of Cashel Blue cheese itself that we flicked through Catherine Cleary’s review of Dooks Fine Foods, in Fethard Co. Tipperary – the town where both Cashel and Crozier Blue are produced. Kings amongst blue cheeses. Tipperary has long been a Mecca of artisan food production in Ireland, spearheaded by the incredible Pat Whelan of James Whelan Butchers who is at the forefront of the Tipperary Food Producers brand and has put the county’s culinary credentials on the map for over a decade. 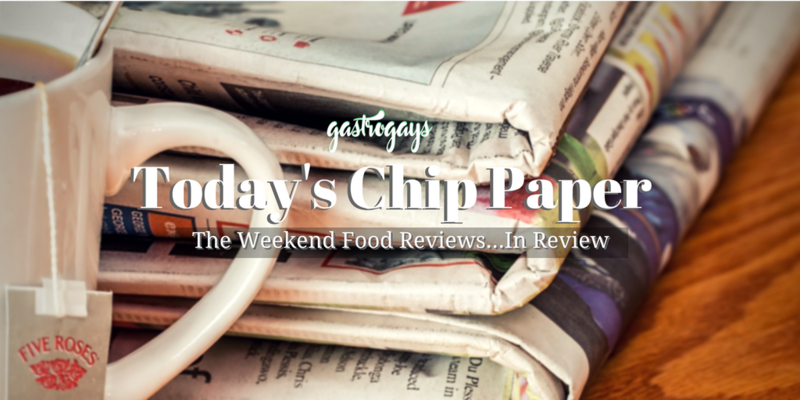 Loved how the review started as a history lesson in Fethard’s female-run food enterprises. Dooks is an uninspiring restaurant name. We’re sorry, but we’re not into it. It looks, sounds and reads a little weird. But Cleary promises what’s happening here is “revolutionary”. Richard Gleeson is the Ballymaloe-trained chef, who cut his chops at Petersham Nurseries and Ottolenghi Islington, now back home and behind the pass at this deli/restaurant in the tiny Tipp town. 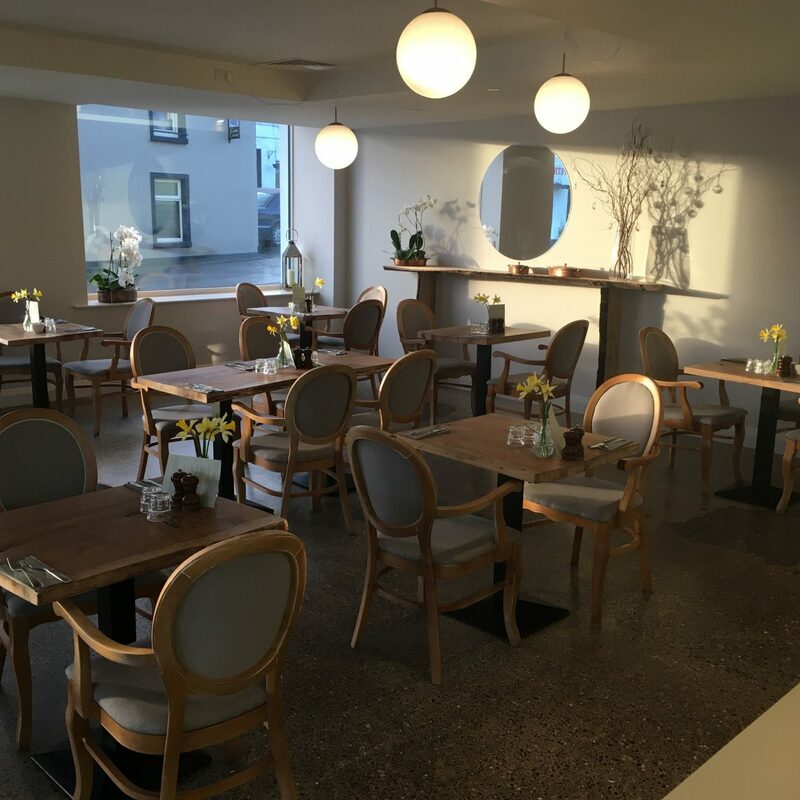 “Dooks is a bright, modern building… which wears a fresh coat of white paint… the floor is polished concrete, the tables beautiful timber and the chairs comfortable armed French-style ones. We’re here for the Saturday-night tasting menu.” This sounds like every new London neighbourhood restaurant that’s opened in the past five years. We’re already excited. Marina O’Loughlin is left deflated in her Sunday Times Magazine review of the newly-opened Covent Garden offshoot of Petersham Nurseries. 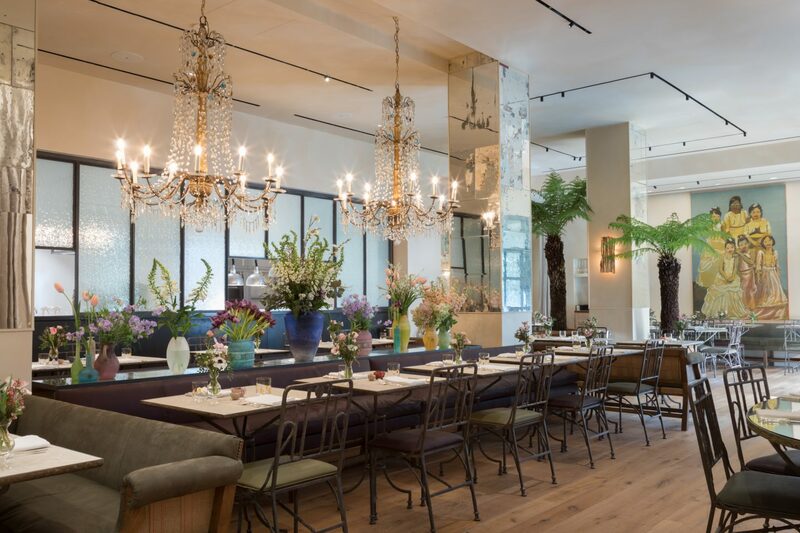 PN is an Instagram perennial and – though we’d never bothered to traipse out that way ourselves – have it on good authority it’s a fairly nice place to eat out in London’s emerald hinterland known as Richmond. For those uninitiated, MO’L explains: “a posh suburban garden centre where you could give it the full Marie Antoinette idyll, gourmet food and wine in hand, dirt floors underfoot”. Delayed, disappointing Prosecco sippers aside, the review never actually improves. “From then on, every dish – from a menu not afraid of tiresomely repeating its many “seasonal” ingredients – verges from vaguely acceptable to properly naff.” Ouch. ‘Naff’ is not a word that Nurseries will want associated with their stable. The only dish described that even flirted with our tastebuds was “risotto of asparagus made with fine, resonant Parmesan, not too puddingy, a two-grains-deep puddle at the bottom of the plate for £15”. We would order it. O’Loughlin sends it to the stocks, saying that this tarted-up, central London sibling to the Richmond original bears “none of the insouciant, bucolic charm of the original. It’s as though a mask has been peeled off to display something altogether steelier”. Yet, of course, like every London new opening, it’s thronged and a “hot table in the capital”. Of its clientele, “blade-thin wives of the disaster capitalists currently eyeballing the capital with leering thirst will adore it, darlings”. Katy McGuinness takes a seat to dine at one of Dublin’s most iconic and most consistent restaurants, Pichet, just off Dame Street, in her Irish Independent Weekend Magazine review column. Consistent, we say, though ten years in, only one of the original trio has remained at the helm. 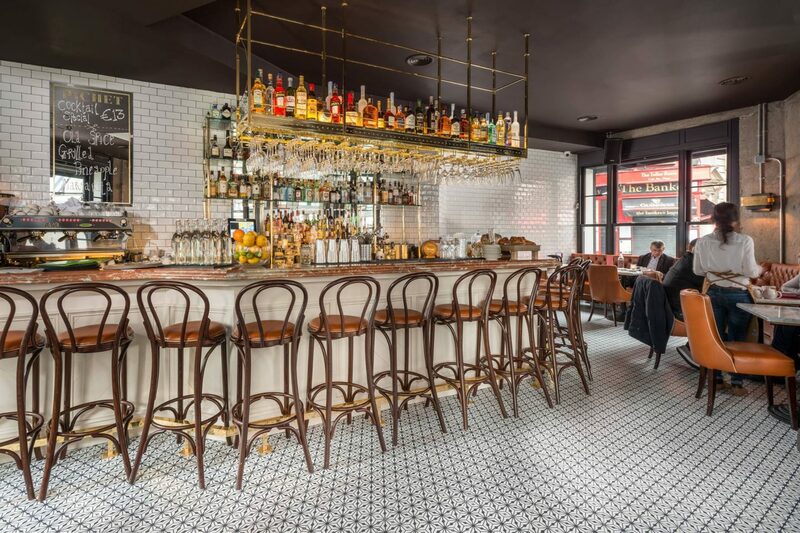 Originally opened by chef Stephen Gibson and former husband-and-wife duo Nick Munier (later known for Masterchef Ireland fame) and Denise McBrien (later better-known for managing Malahide’s Old Street), only Gibson remains. Over the years both the menu and the interior has evolved, something McGuinness picks up on, seated at “a table by the window opposite the kitchen”. She continues, “from memory, there used to be some outdoor space here, which has been since incorporated into the main body of the restaurant. Even though the glass is ridged and opaque, there’s a disconcerting sense that the cars exiting the Andrew Street car park are about to come crashing through into the room”. We’d never thought about that. 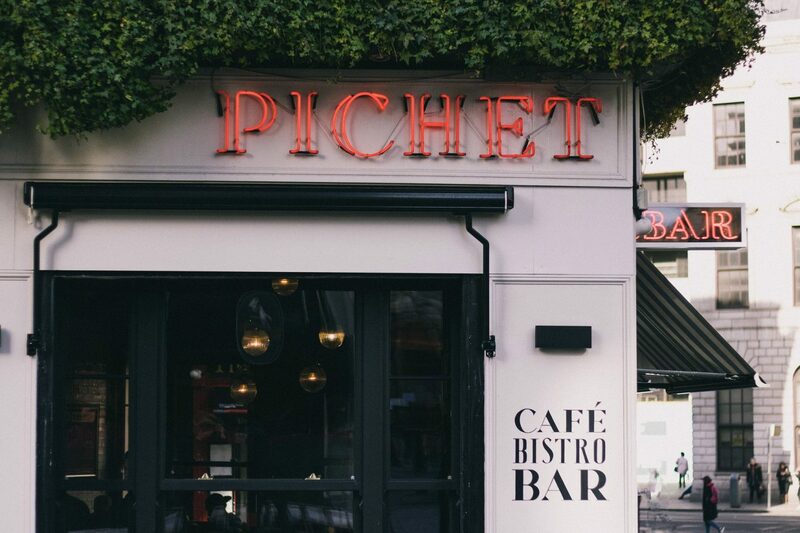 Pichet is one of those places were big, bold bistro flavours sit at the forefront. It’s asparagus season and here McGuinness enjoys her spears with “brown butter egg yolk, crispy boneless chicken wings, truffle pecorino”. 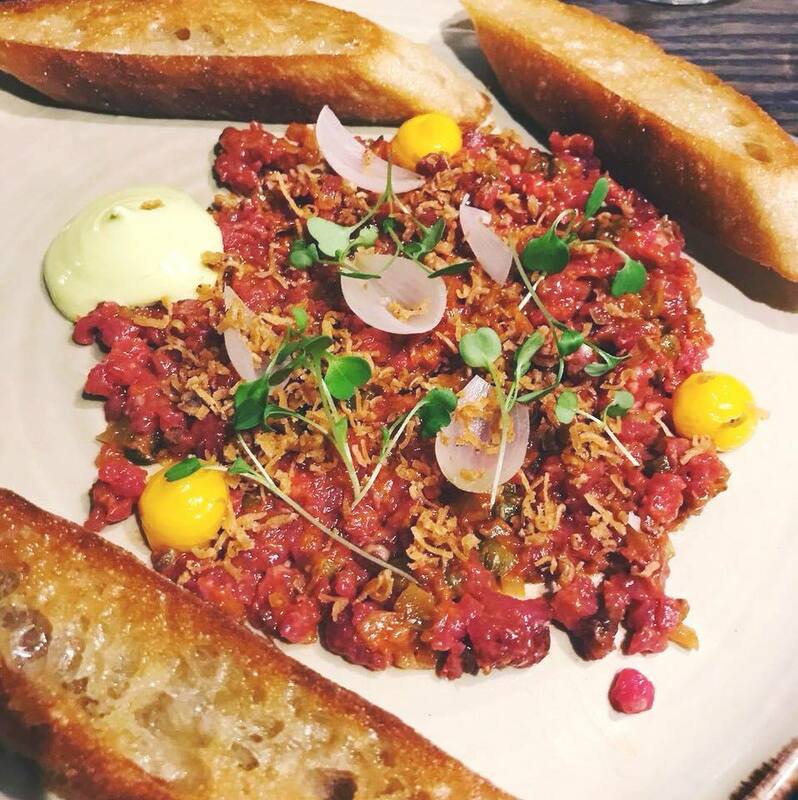 Then, tartare, “topped with tiny quail egg yolks, delicate slivers of radish and micro-hebs, with a tarragon emulsion on the side”. Followed by the beef dripping toast. Anything dripping in beef fat and carby, we’re into. Eating it transports McGuinness back to childhood unexpectedly – “a more subtle version of the fried bread that my father used to make for breakfast on Saturday mornings” – and that’s exactly what bold, fresh and clear flavours in restaurants should do. We’ve long held the belief that Northern Ireland is one of the best areas on the island for food produce. This means, but is not limited to, specifically the areas outside Belfast city. 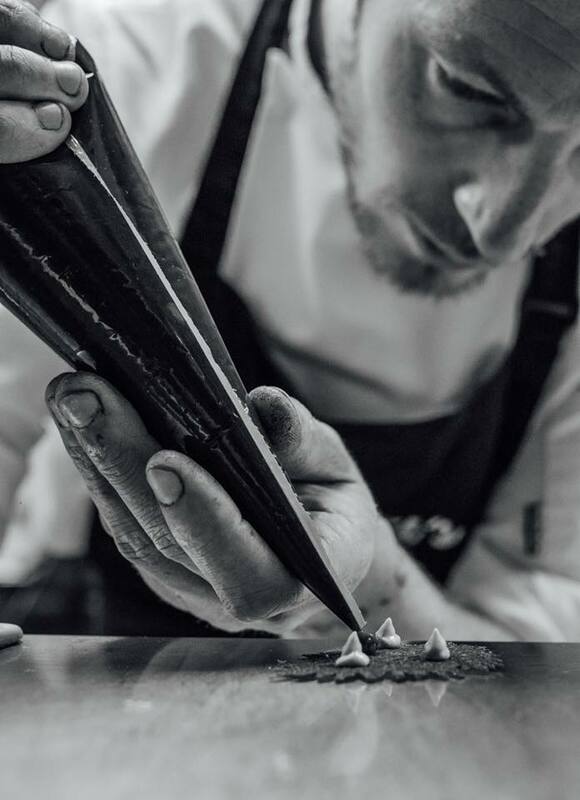 Joris Minne in the Belfast Telegraph waxes on how strong the provenance is outside the capital city, so he ventures to Brunel’s in Newcastle. 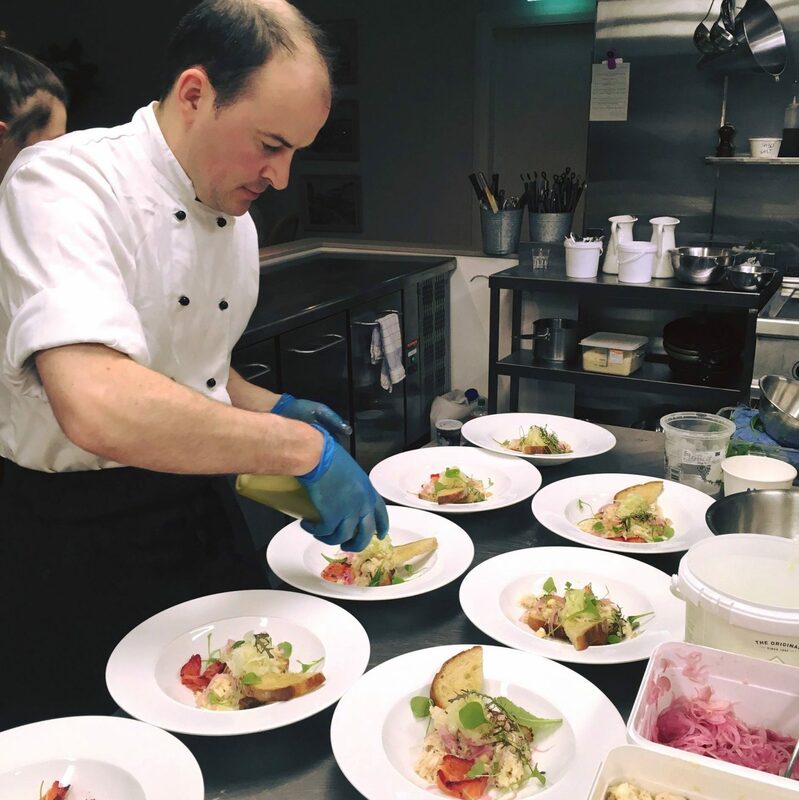 “Occasionally,” he writes, “restaurants out in the country will match the produce and deliver a knock-out punch to remind any smug city slickers that quality is as readily available outside Belfast as it is in it. “Formerly perched above the Anchor Bar at the eastern end of town, Brunel’s always punched above its weight. Would this level of quality transfer to its new home? Not quite.” Eek, and what follows is a so-so review that actually contradicts the opening sentiment, which is a bit puzzling. 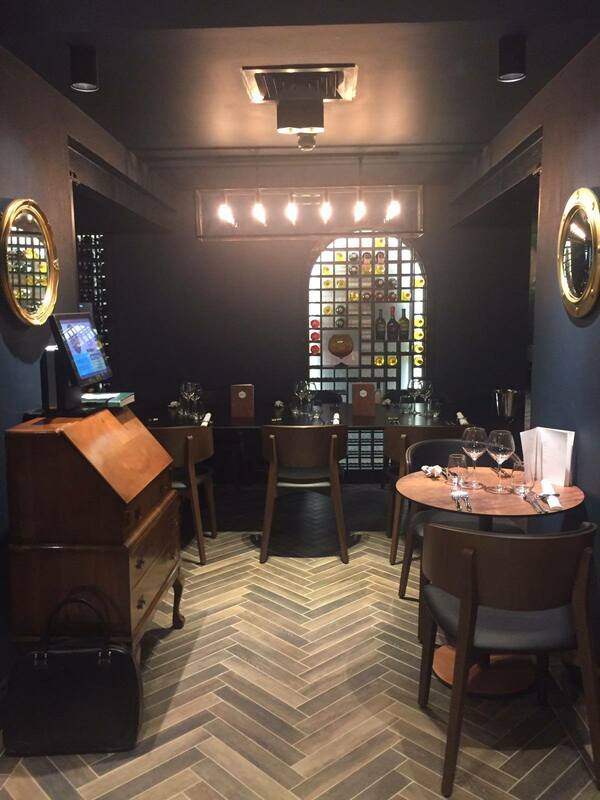 The restaurant opened at its former home in 2014, until it moved to a new premises nine months ago. Minne takes issue on several aspects during the review – it starts with the staff. “The server gave us a full, one-minute lecture on the subject of [Chef Cunningham’s] precision… the lecture went on long enough to dissuade the adviser from having a starter at all.” He later brandishes the waiting team “attentive but browbeaten”. Then, sweetness is the issue. “Sweetness is a recurring theme here and, while I love a bit of sugar as much as the next man, there comes a point at which the red line is reached”. Then, some welcome sparks of brilliance – the “roast beef dinner is outstanding, the beef perfectly medium rare, the size of a car seat cushion, let down only by a stone-cold, but otherwise perfectly executed, Yorkshire pudding”. 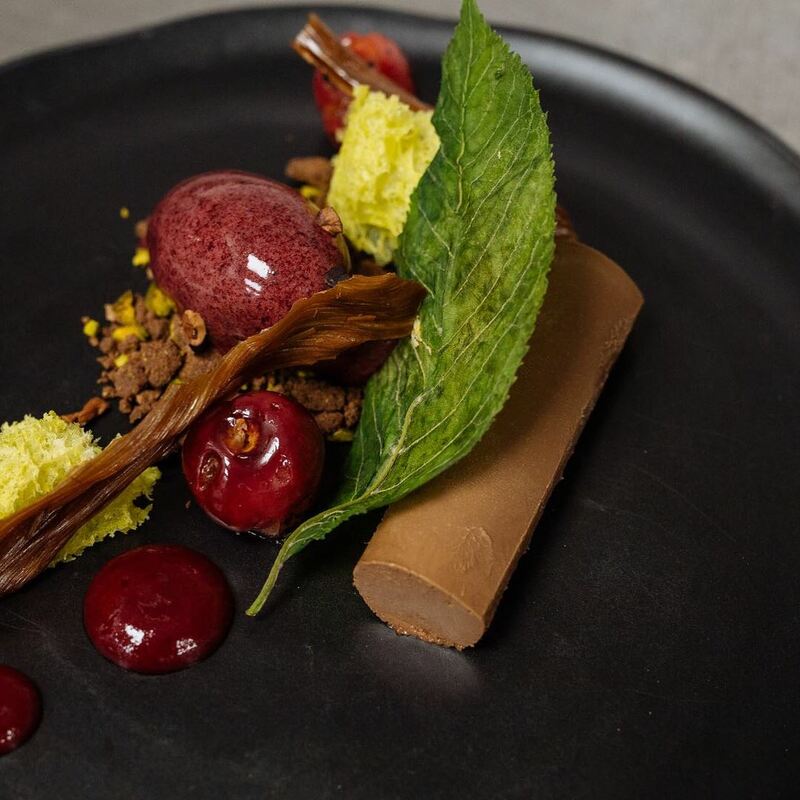 Desserts are great, it seems, “the chocolate and hazelnut brownie is a masterpiece, surprisingly salty and savoury, and the deconstructed apple crumble is delightfully light”. But ultimately, it’s the chef that Minne hints is at odds with this spot. He boldly declares: “Chef Cunningham tries too hard. His food is often over-wrought. He has great talent and ability, but perhaps is thinking it through too much”. Riiiiiiight.